Nootie ear wipes may be used for routine ear cleaning in a healthy ear. Helps eliminate ear odor. It may be used for dogs and cats of any age. It is infused with the delicate scent of Japanese Cherry Blossoms. 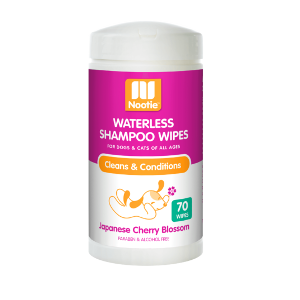 Give your pet a thorough daily cleaning with Nootie’s Waterless Shampoo Wipes. With the long-lasting fresh scent of Sweet Pea & Vanilla, your pet will maintain a just-bathed cleanliness and fresh scent every day. 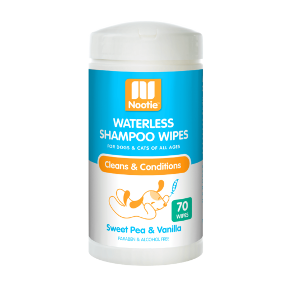 Give your pet a thorough daily cleaning with Nootie’s Waterless Shampoo Wipes. With the long-lasting fresh scent of Japanese Cherry Blossom, your pet will maintain a just-bathed cleanliness and fresh scent every day. 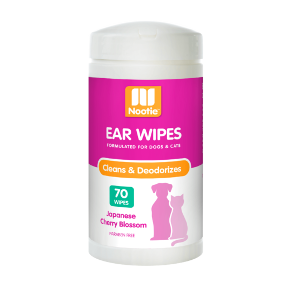 Nootie ear wipes may be used for routine ear cleaning in a healthy ear. Helps eliminate ear odor. It may be used for dogs and cats of any age. It is infused with the delicate scent of Cucumber Melon. – Formulated to help relieve and heal symptoms related to fungal and bacterial issues. 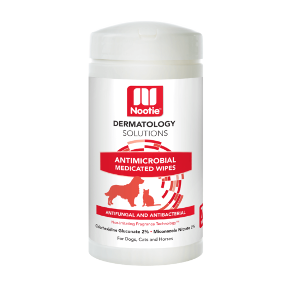 – Ideal for pets with ringworm and dermatitis caused by fungi, bacteria or yeast (Malassezia). 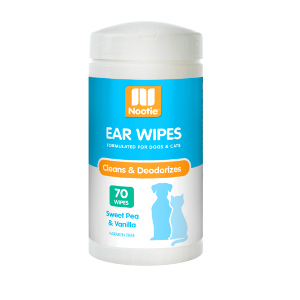 – Helps prevent hot spots if used early on flea bite dermatitis. – Recommended to help cure bacterial infections due to bacterial dermatitis. – Safe to use along with topical flea & tick products. – Use between washes or to treat isolated trouble areas. 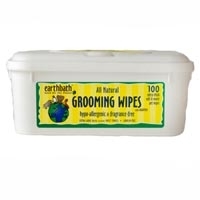 Earthbath Grooming Wipes - Hypo Allergenic Wipes - 100 Ct.
Use these thick, large, moist wipes as a touch-up grooming solution or as a bath alternative. Earthbath grooming wipes handily clean pets' dirty paws, undercoat, safe for all pets over 6wks.